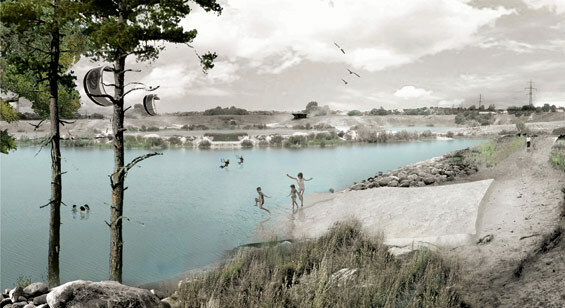 The landscape architects from SLA worked with the artist Morten Stræde to develop a landscaping- and art strategy for the gravel pits south of Roskilde showground. The raw material and festival site in Roskilde each year houses one of Europe’s biggest music festivals, The Roskilde Festival, and every year 100,000 people from all over the world guest the festival. 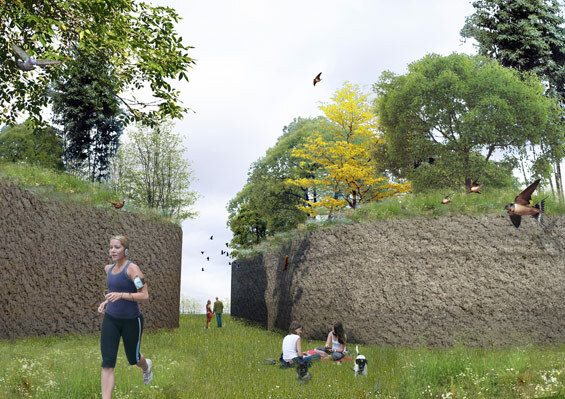 For the rest of the year landscape, not yet excavated, work as a recreational landscape for the citizens of Roskilde. Every year, however, gravel pits eat their way through the landscape, leaving less green fields for guests and citizens to enjoy – a source of much controversy. Our strategy is to work towards minimizing the anxiety about the faith of the area and the aversion to the industry that carries out the excavation. 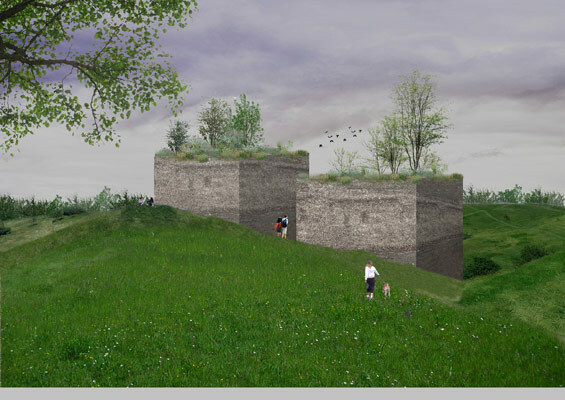 We want to not only find a suiting compromise between the gravel pit and the people, but actualize and accentuate the added value that can result from the excavation. We think that after the excavation has finished, the landscape is left with great potential of offering unique experiences and significant improvements to the former area. Firstly, we showcase the very close connection between art, geology, the area’s defining materials and its natural processes. This connection represents a unique source of learning for the schools surrounding the landscape and for other citizens of Roskilde. We let the new area tell its long story of gravel and grit by adding one new work of art to the area each year. 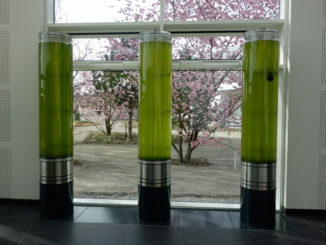 Every art piece complements nature as an integrated part and represents both plasticity and permanence. -“Floating World” by Morten Stræde is erected in 2014, and will work as a reference point for future artists. 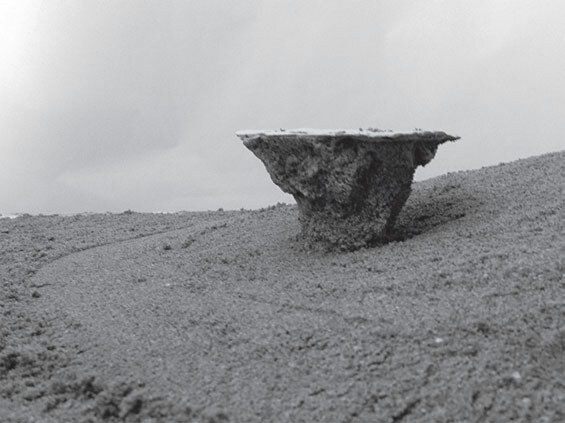 -The artistic devices of the area will include in-situ casted concrete, which will be increasingly marked by time and weather, and which can stand the wear of an audience who climb and touch them. 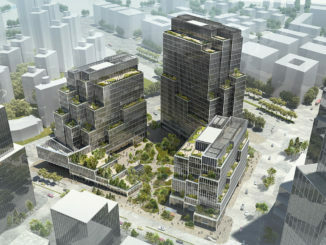 -“Lost World” will be placed in the landscape as a landmark towering the area. The vertical walls shaping the figure, is an image of the geology with its layers deep beneath our feet. Secondly, we utilize the landscape left after excavation work ends: A landscape tailored for sports and recreational facilities. This landscape is greatly distinct from the ordinary Danish landscape, and athletes, sports clubs and schools can come here and continually experience new challenges as the landscape and the art works change over time. One week a great concrete cast or terrain elevation appears. A few weeks later the casts or the elevated area now emerges in different manners. Later on, plants cover the cast and sand dunes. The landscape, if allowed, stimulates the mind and body in ever changing ways. For festival guests the “changing of the landscape” is reversed into a positive feature, providing new facilities every year. One year there is a green field. A few years later; a lake and a beach. Thirdly, we utilize the existing nature to create value. 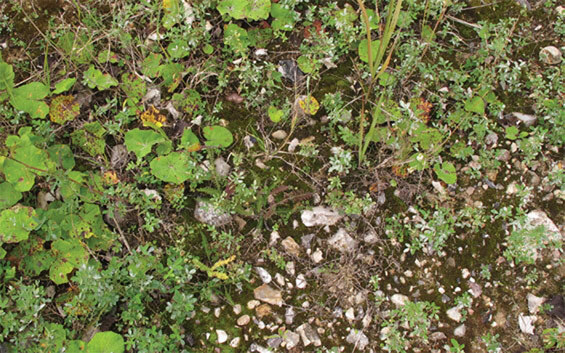 The subsequent processing of the gravel pits works to establish a particular kind of nature – wild nature through primary succession made possible when the nutrient soil full of minerals is reveal by excavation. In this soil we plant berry and nut bushes to establish nature which is easily maintainable, while adding greatly to the value of the area – both recreationally and as far as biodiversity goes. “The measures introduced all work ad hoc as they support the functions and development of the area. The introduced art and nature is robust and can stand the wear of time and weather. Citizens and festival participants are let back into areas transformed by humans and business – for the better, not for worse. It presents, to those who did not benefit directly from the industry, an area full of natural processes and facilities not often encountered in Denmark. 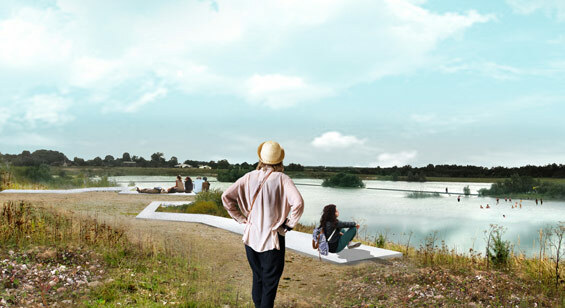 As such the gravel pits automatically facilitate what would normally be both cost- and work intensive: man-made lakes, beaches, artificial elevation and art. By cherishing these emerging facilities a new and unique landscape is created along with the encouragement of more positive feelings towards the history of this area. In this way we transform the site into a place that is both attractive for people and functional as a venue for events and shows. 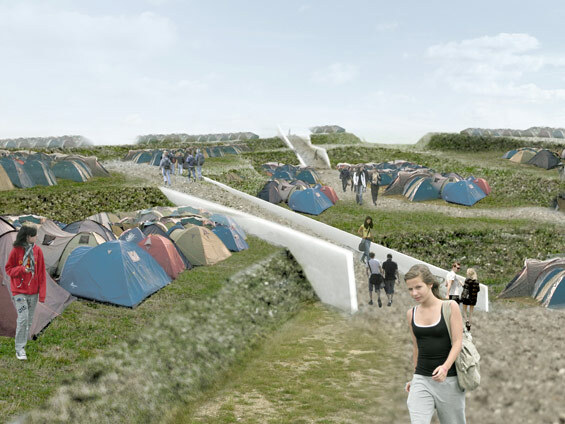 We turn a potentially devastating development into a positive bargain that improves the festival site as well as the everyday facilities of the city ” – The SLA design team. Roskilde raw material and festival site.